Small Shipments - QRS - Quality Relocation Services, Inc.
QRS does not have a minimum weight as many movers require. Whether you are shipping one family heirloom or room full of antiques, we can provide excellent care and reliable service. We know these items require special wrapping and preparation before transport and we use the highest quality materials to ensure their protection. QRS has the ability to use the same materials used in international wrapping and shipping to insure protection for your items. We have experience in moving antiques, artwork, internet auction items, valuable estate distributions and collector’s items. Also, we understand that sometimes an item has more than monetary value and our staff is trained to handle small shipments with the extra care they deserve. Estate moves usually involve multiple family members, various destinations throughout the country and family heirlooms. Although many movers refuse these shipments, we pride ourselves on handling estate moves. Since QRS does not have a minimum weight requirement charged by most carriers, the cost of transportation is based on the actual weight of the shipment. This makes QRS a more economical option. Hiring several moving companies is no longer necessary because QRS delivers throughout the continental United States and to multiple locations with accuracy. 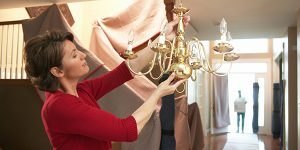 Proper handling methods insure that even fragile sentimental pieces arrive in excellent condition. Please list the items that you would like to have shipped.